The latest development in the Army marketing RFP saga, PR for which is handled by McCann's Interpublic Group sibling firm Weber Shandwick. NEW YORK: McCann Worldgroup’s longstanding advertising and marketing contract with the U.S. Army has been extended as the firm awaits the decision on its official protest of the Army’s latest advertising RFP. The contract was extended an additional 12 months to September 28, 2018, worth an additional $524,100,000 in fees, according to an announcement from the Department of Defense. This is one of several extensions the Army has made to the contract with McCann over the past two years. Several McCann Worldgroup sibling agencies also work on the Army account, including Weber Shandwick. A Weber spokesperson said the latest extension doesn't have to do with review or protest, but with the existing contract, adding that the firm is proud of the work it has done with the Army. The two entities have worked together for more than a decade, but the relationship between McCann and the Army had a tumultuous few months. The Army issued a new advertising and marketing RFP, the same services McCann provides, in January. That contract could last up to 10 years and total up to $20 million in award fees, according to RFP documents. The new contract was originally set to begin March 2018. McCann and other firms were invited to bid on the new business. However, McCann filed a protest of the RFP with the Government Accountability Office in June because it had been eliminated from the review. The protest case is still open and will be decided by September 18. McCann first won the Army account in 2005, and again after a 2010 review. 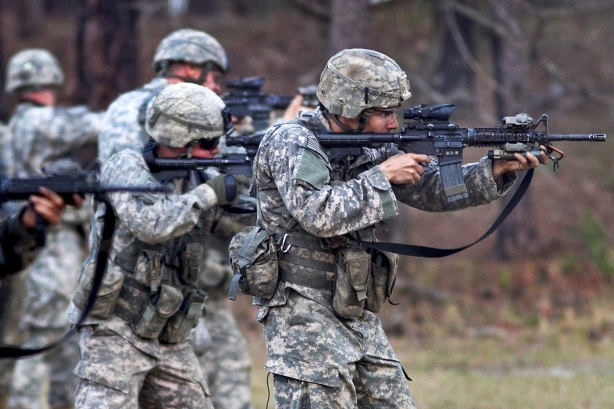 The firm developed the well-known "Army Strong" recruiting campaign in 2006.